Illinois’ Commerce Commission (ICC) has set public hearings before commissioners consider whether to approve a Houston, Texas energy company’s $2.2 billion wind-power transmission line project. The line’s proposed course would cut across the state, through Macoupin, Montgomery, and Christian counties. Approval by the ICC would essentially give the Grain Belt Express public utility status which includes eminent domain authority. The ICC’s final decision on whether to allow the construction is November 21, 2015. Marshall- July 29th @ 4 pm- Gerald R. Forsyth Performing Arts Center @ Marshall Jr. High School, 806 N. Sixth St., Marshall. The format has been set to include 90 minutes for oral & written testimony, with a limit of 3 minutes per person, with a question-and-answer session with commission staff. IF YOU’D LIKE TO SPEAK: Participant sign-up will be on-site, before the forum. Opposition to the Grain Belt Express is growing, with groups representing those who would be impacted, including The Landowner’s Alliance and Block Grain Belt Express, contending that ownership of Illinois farmland is at stake. Meanwhile, support for the project has been garnered by engaging so-called “Clean Energy” organizations, some of which oppose coal power — a plentiful natural resource within the 95th Illinois House District. Representative Avery Bourne: Introduced House Resolution 371, which urges the Illinois Commerce Commission to grant the application only if the company identifies clear and substantial benefits to the State of Illinois that definitively outweigh any deprivation of local property rights or land value of the citizens of Illinois. 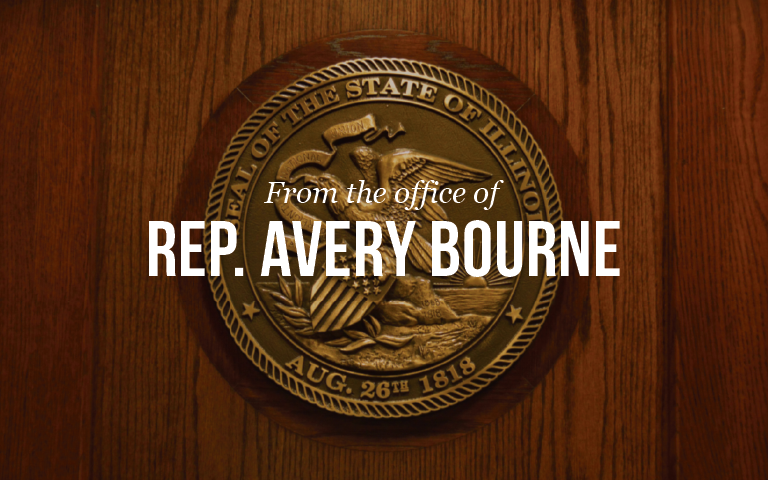 “Hopefully, Illinois follows Missouri’s lead,” said Rep. Bourne, after Missouri regulators turned down the company’s proposed route through the state. UPDATE: Missouri regulators denied a pathway for the GBE, prompting Clean Line Energy to redouble efforts to gain access to land. Opponents of the transmission line say Clean Line Energy could respond in one of three ways: request a rehearing; reapply for a certificate of convenience and necessity for the project; or the most likely option, bypassing a decision at the state level and seeking eminent domain rights at the federal level through the Department of Energy.